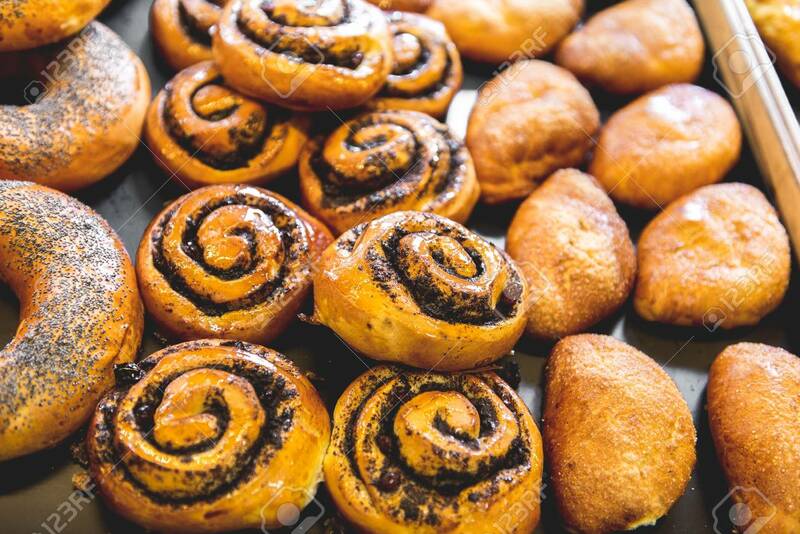 Bakery Products On The Counter. Food Industry Banco De Imagens Royalty Free, Ilustrações, Imagens E Banco De Imagens.. Image 113437625.